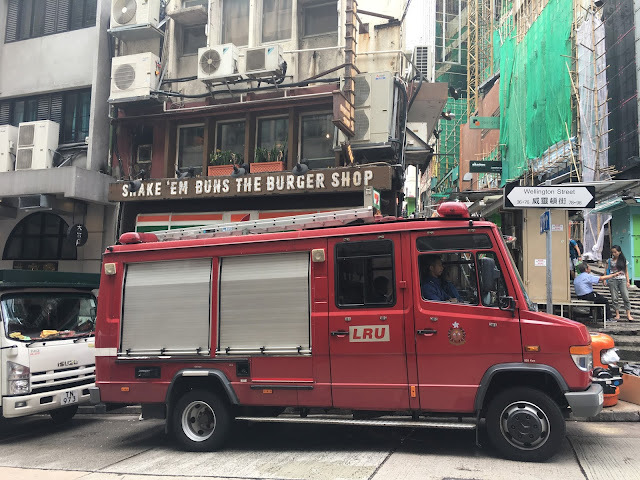 A friendly visitor in Hong Kong with family - Mid-Levels. Baked pastries like chicken pies and custard tarts, inspired by Western colonials like Britain and the UK in the 19th and 20th centuries. North Point Markets. 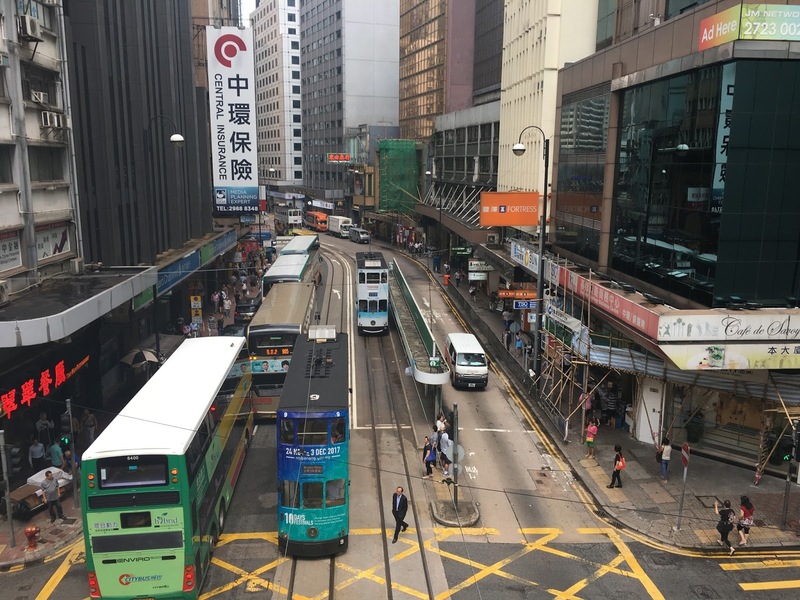 The iconic classic stereotype of a Hong Kong street, with trams, buses, pedestrians and buzz. A downsized fire engine waits on a sloping street in a busy part of the city - Wellington Street. A cloudy and humid morning in Central. The street escalators are still working all right - the other tour experience is to take the train up the Peak. Upmarket shopping at the IFC Mall, Central. Community game after a passing shower.